The American Institute of Dental Assisting is pleased to announce the introduction of the new Dentrix G6 software. 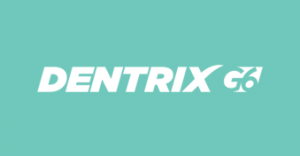 Dentrix G6 is the most recent upgrade to the Dentrix software. Dentrix was introduced in 1989 by Dentrix Dental Systems. It was the first dental practice management software developed for Microsoft Windows. The Dentrix software has been around for over 20 years. It gives dentists the tools they need to help their practice be successful. It is a comprehensive software designed specifically for the busy dentist. It keeps them organized and in control of their business management. Dentrix automates a variety of systems for a dental practice. It offers the ability of a paperless office with features such as fully digital patient charts, files, and scheduling. It is user friendly and is an essential tool for all of the dental staff. With the Dentrix G6 update, students will be trained on the latest features of the software. With this training students will have confidence going into a new job. They will be able to use the software along with the other skills they have learned to contribute to the seamless flow of the dental office. This training is a portion of the schools innovative, hands-on program that teaches students how to become a dental assistant in 13 weeks. Dr. Eldon Hastings personally created this unique curriculum to maximize learning and focus strictly on the necessary knowledge and skills to get employment in the dental field. Want to know more about becoming a dental assistant? This class was a very fun experience and very informative. The instructors are very patient and pay close attention to detail. Holly is a true asset to the school and one of the best instructors I have ever had.